Running a restaurant is a hectic business. Aside from managing the financial aspects, you have to keep your customers satisfied to keep them coming back. You have to constantly juggle food prep. Budgeting and customer service just to remain above the red line. If you want to grow your restaurant, then you have to add marketing to the things you are juggling. One way to measure if a restaurant is getting successful is the number of customer traffic it gets and you can not expect to have more customers if you don’t throw yourself out there. you may also see rack card templates. Now there are a lot of ways to market a restaurant. From regular word of mouth to digital and social media engagements. Then there is the old way of print advertising. Rack cards, pamphlets, flyers, brochures, and paid newspaper spaces may sound old school and outdated ways of marketing but there is a reason that they are still used today. There is an appeal to the tangibility of these marketing tools that is absent to digital media. They also offer some advantages that digital media does not. One such advantage is the resources needed to keep the ad running. Print advertising has the ability to be permanent. When you have already printed your and as long as that print is not crumpled and thrown away, then you got all you need. Digital and online advertising lives on the screen and that means in order for the ad to reach the intended audience, that said audience needs to be connected to the internet and that means they have to be fully charged. Digital ads run on batteries that print ads do not need. Like all print advertisement, rack cards are versatile tools of marketing for any product, service, and business. 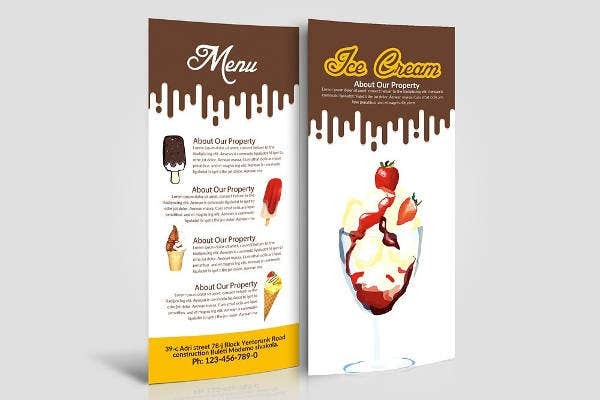 Rack cards are like brochures, especially the trifold brochure, that they can be placed in a rack (hence the name) in a high traffic area that potential customers can get whenever they want. That being said, the rack card’s two-panel design can carry lesser information than that of the brochure’s multiple panels. This makes brochures more expensive and rack cards a bit cheaper to produce. In fact, rack cards are one of the most succinct, effective, and affordable marketing tools available. 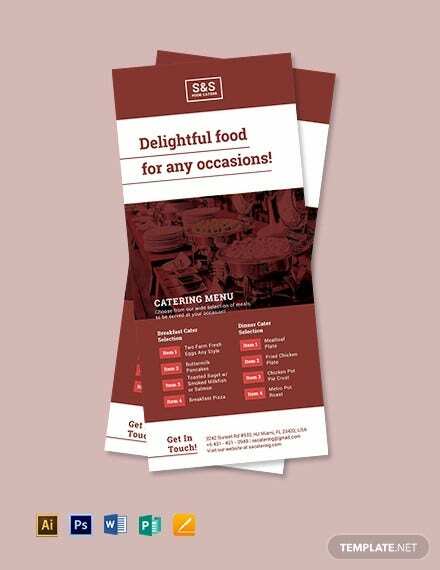 A restaurant can use rack cards to advertise a product by promoting events, new products or even just showing the menu available to stir audience interest. 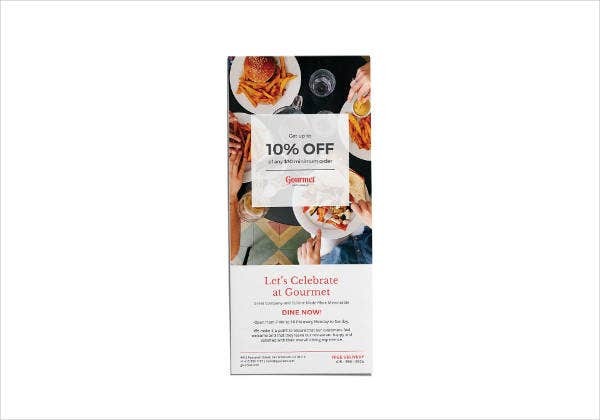 Just as your restaurant is facing competition to other restaurants, your rack cards are also facing competition from other restaurant’s rack cards. 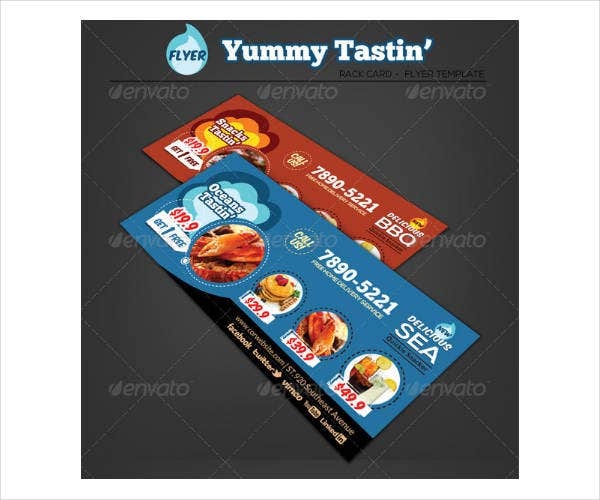 Therefore, it is the main purpose of the rack cards’ designer to make sure that the card looks interesting and intriguing enough for potential customers to pick it up. It falls on him to make the design work. 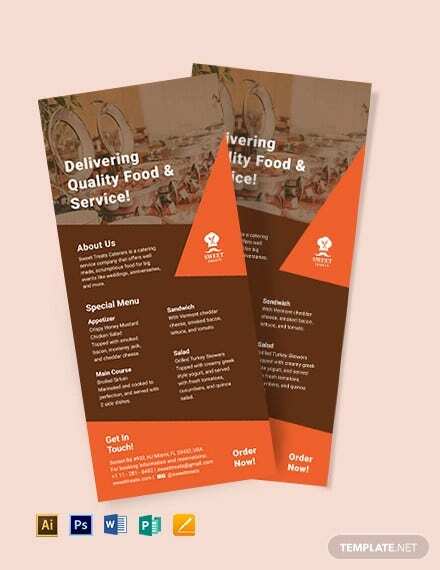 If you are the designing your restaurant’s rack card, here are a few tips to bear in mind. This includes phrases, slogans and, most of all, eye-catching photos. 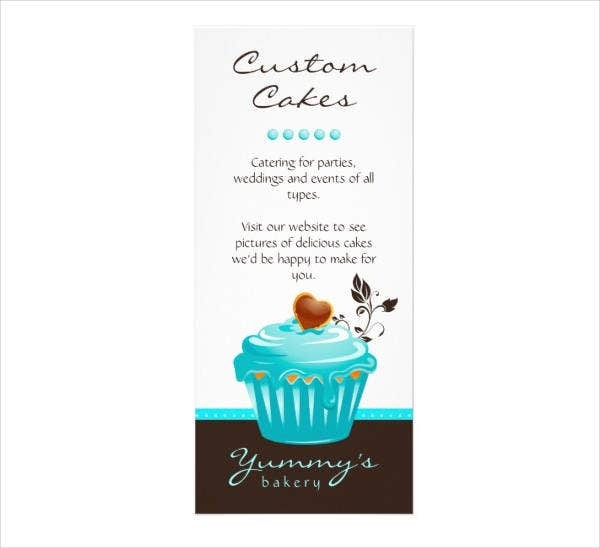 A rack card only has a brief second to attract the potential customers into picking them up. 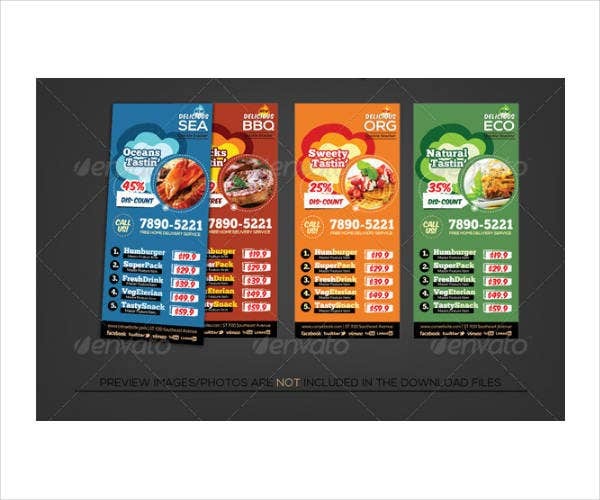 The colors and photographs of your rack card should be optimized to ensure maximum audience impact. This does not mean however that you can just add all the colors you want and place the biggest picture of that roast pig you are advertising. To optimize does not only mean to use as many. Optimize means to use effectively. You may also see hotel & holiday rack cards. 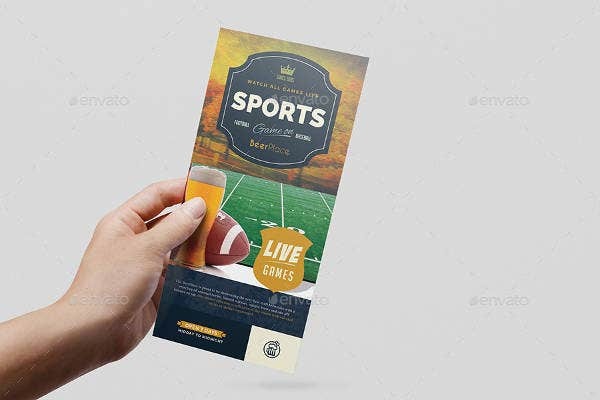 When picking up the colors and pictures that you will use in your rack card’s design, make sure that all the design elements mesh well together. Remember that awesome thing plus awesome thing does not always equal to a doubly awesome thing. Optimizing does not only mean using all the colors, it can also mean to use no color at all. Just look at some minimalist rack cards that carry the minimalist philosophy. Maximize color and photographs but maximize them effectively and efficiently. 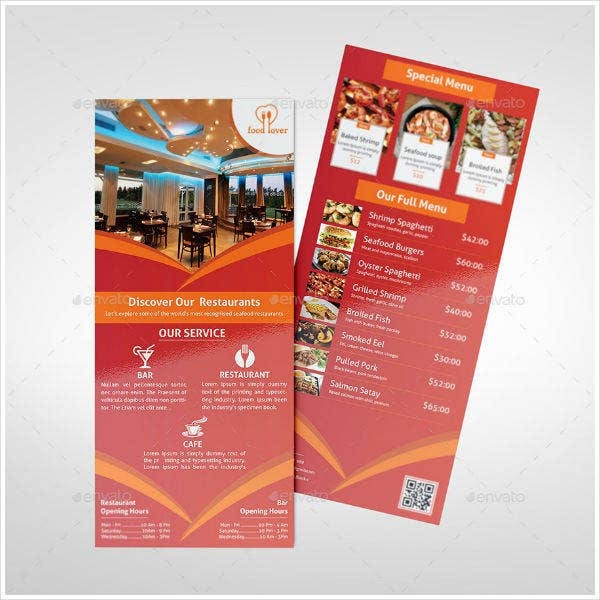 Your rack card will be advertising a product from your company, which in this case is your restaurant, thus it is essential that your card will harmonize with your company’s identity. 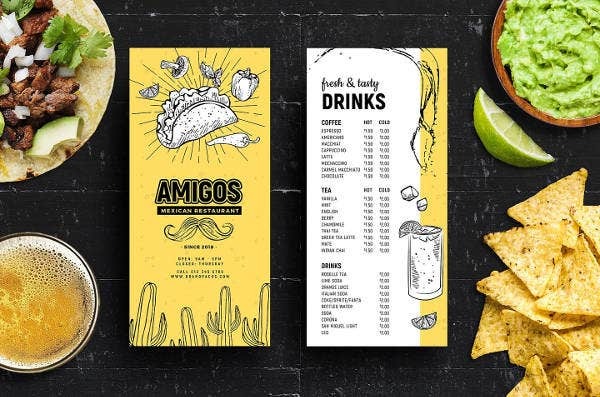 Your card will represent your restaurant and the design must reflect this. One can not expect Pepsi to suddenly release ads bearing Coke’s colors. That would only confuse the customers and run the risk of losing customers to the competition. Same with your rack card designs, they must carry your colors, your shapes, and your whole identity, otherwise, how are your customers going to know that you are selling the cheesiest cheeseburger in tow and not the restaurant right across the street. 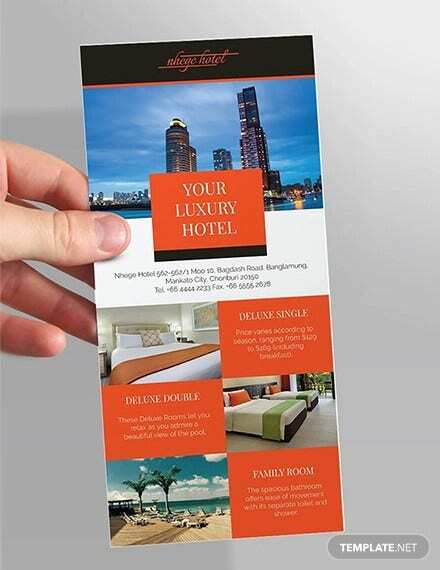 Unlike a folded brochure, your rack card has only 2-panels for you to get your message across. Add to this the visual elements you need to include that are needed to attract the audience, then you are probably left with one panel to write your message in or less. When creating the message your rack card will carry, try to narrow it to a few words. One good idea would promote one product per card. Think of your rack card as an elevator speech. Make it as brief yet as effective as possible. That is to mix old school with high-tech. Print advertising is a business tradition as old as time. It is easy to dismiss the fact that print advertising like rack cards can have a place in the world of high-tech advertising. Print advertising has been a tried and tested method to reach out to audiences due to its flexibility to adapt. One of the basic things to include in any printed promotion is to add the address of the business. This does not only apply to a physical address but to online address as well. 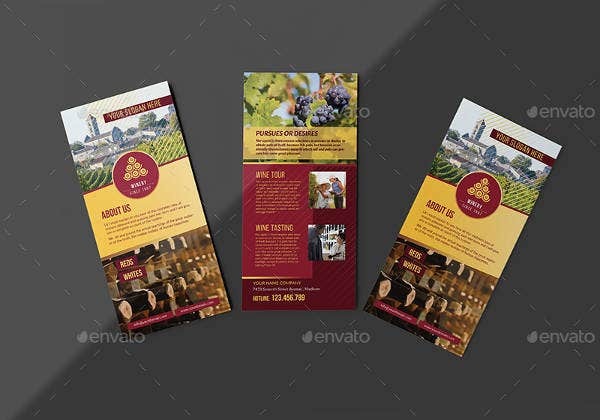 Though not as expensive as brochures, producing rack cards can still be costly. A lot of organizations often take advantage of volume printing discounts to alleviate this cost. Still, if rack cards will not be distributed, they will still be considered a waste. It is important to bear this in mind when designing your rack cards. Design a card that can be used in different ways. 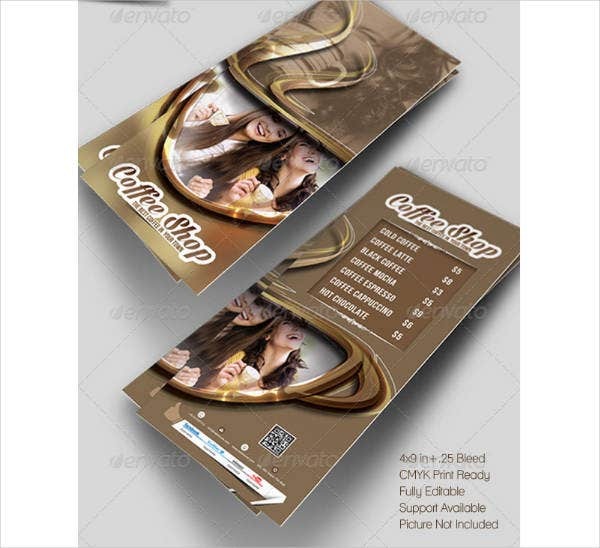 Design a card that can be timeless and flexible in a sense that it can be appropriately distributed to any establishments. 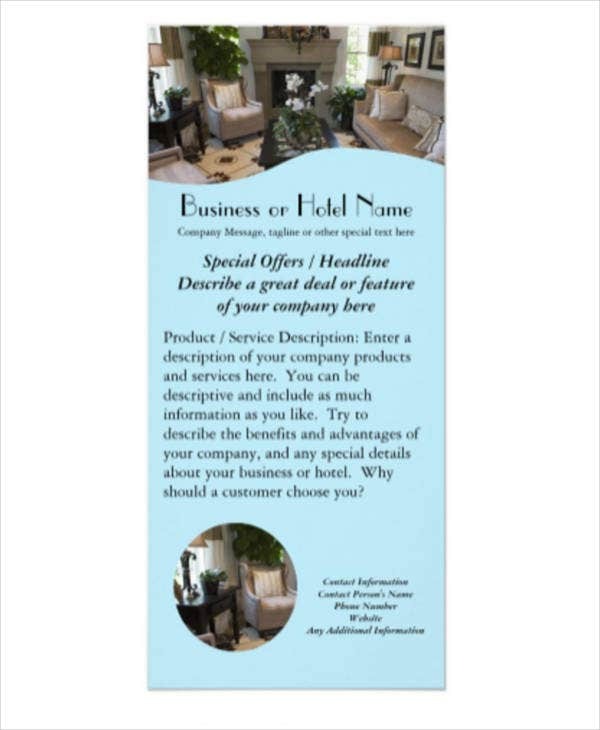 From hotels to resting areas and even to related but non-competing business, ask permission to place your rack cards there. When crafting any promotional print materials, never forget the basics. That means your company name, contact numbers, email and online addresses and business location especially to establishments like restaurants. How else are your potential customers going to respond to your call to action if you do not show them the way? A small map of the surrounding area can be adequate for the limited space of the rack card. However, if you do utilize QR codes in your rack card design, it is not a bad idea to include a map on the website. You may also see card designs in PSD. This goes without saying. Before finalizing your design and going ahead with the printing process, never forget to proofread your item. Make sure all the contact numbers, online and offline addresses and QR codes coincide. 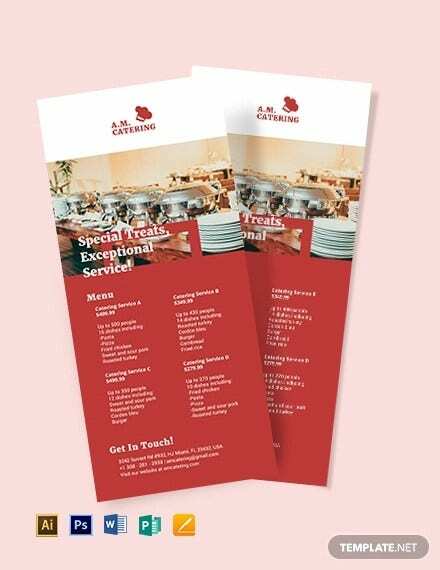 Make sure there are no spelling mistakes and if you are using the rack card as a menu, the item prices are right. If your rack card is riddled with a lot of mistakes, it may render your advertising efforts useless. Spelling mistakes can do a lot of damage to your establishment. They can make it unprofessional or worse, guide your potential customers to your competitors business establishment. 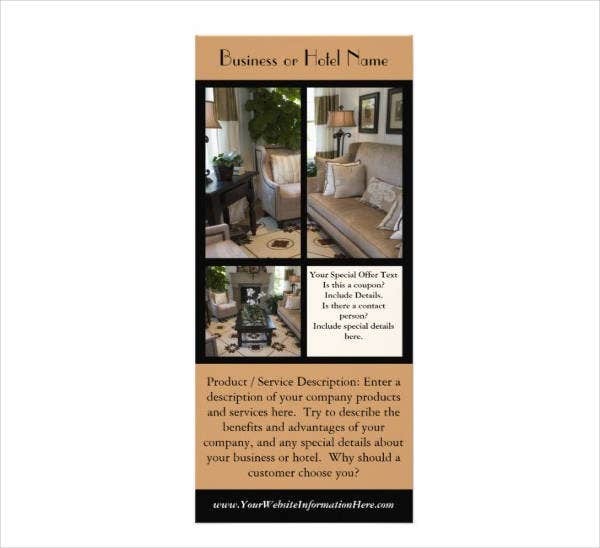 Rack cards will only be effective if they reach the hands of potential customers. Rack cards can be distributed in a lot of places including hotels, terminals and airports, restaurants, and other resting areas but that does not mean that you can willfully just place cards in all these places. Study key distribution points and study the competitor cards already found in the areas and find a design that will be sure to stand out. Study the type of foot traffic the area gets, their numbers and then strategize accordingly. 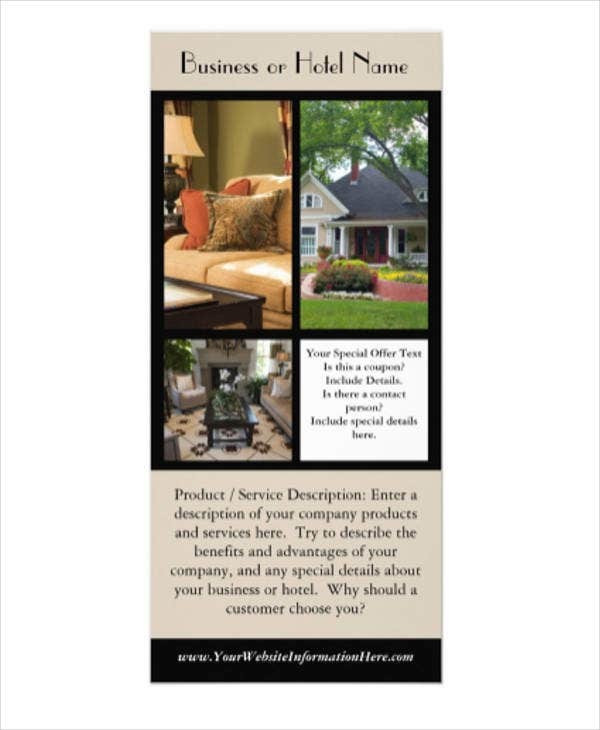 Furthermore, consider including coupons and promos with your InDesign rack cards. Not many people can resist the temptation of discounted or free stuff. The coupons can be the nail in the coffin for those people who are on the brink of picking up your rack card.